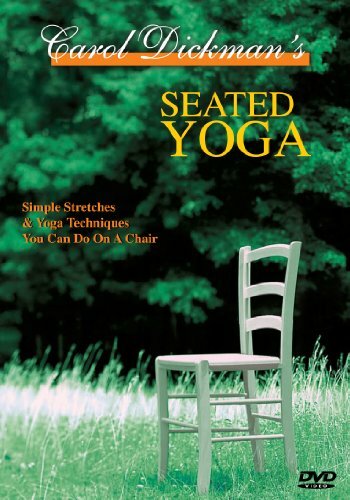 Award winning SEATED YOGA offers simple warm-up stretches, breathing exercises, yoga postures, and a relaxation, all done sitting down. Relax, renew, reduce stress, increase creativity, feel better with chair yoga. This sequel to BED TOP YOGA is ideal for use in your office, at home in a chair or on the edge of your bed, or at your computer. Appropriate for seniors, the physically challenged, and the blind - no previous yoga experience needed. Featured in Arthritis Today Magazine, Dr. Andrew Weil's Self Healing, the Home Shopping Network, InteliHealth Healthy Home, Living Arts and AARP catalogues, CNN, Fox Television, and The Nashville Network. Carol's programs are used worldwide and are shown on hospital in house TV networks. If you have any questions about this product by Yoga Enterprises, Inc., contact us by completing and submitting the form below. If you are looking for a specif part number, please include it with your message.